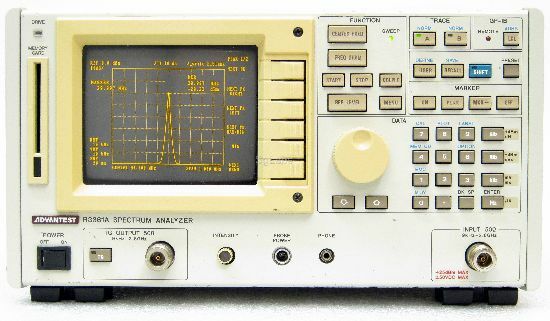 Lots of spectrum analzyers can be found on the used market for great prices, especially if you know what to look for! 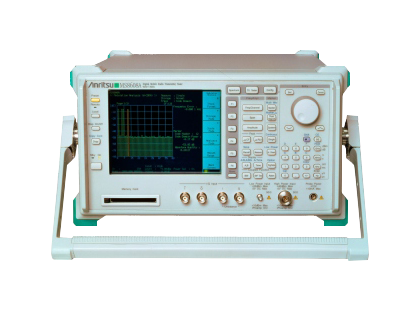 A lot of test equipment such as "communication tester", "transmitter tester", "base station test set", "vector signal analyzer", or other similar description have quite decent basic spectrum analyzer functionality. 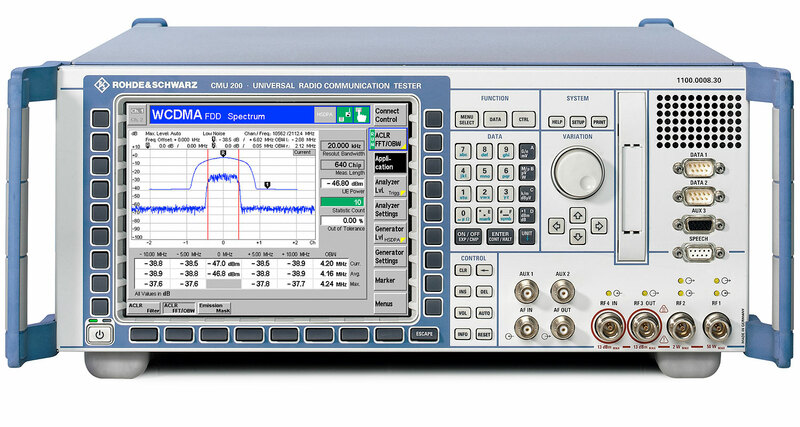 This guide is intended for hobbyists looking for spectrum analzyers that can be found on the used market for around US$1000 or less. Use "undesirable" options such as 75ohm input impedance as leverage for negotiating price. Agilent E4406A 10Mhz-4Ghz 10hz-10Mhz 0.1hz-1Mhz $400-$1000 100M span with W-CDMA option. Agilent E4411B 9khz-1.5Ghz 1khz-5Mhz 0.1hz-1Mhz $600-$1200 "undesirable" Option 1DP 75ohm input impedance. GW Instek GSP-810 150khz-1Ghz Zero,2khz-100mhz 3khz,30khz,220khz,4Mhz $300-$700 Unimpressive specs, probably best for classrooms. RBW limitations would hamper HF use. HP/Keysight 8566B 100hz-22Ghz Zero,100hz-Full 10hz-3Mhz $700-$1400 140lbs! HP/Keysight 8568B 100hz-1.5Ghz Zero,100hz-Full 10hz-3Mhz $700-$1400 140lbs! HP/Keysight 8594E 9khz-2.9Ghz Zero,10khz-Full 1khz-3Mhz $1000-$1200 Portable. Option 130 and 140 adds 30,100,300hz RBW. Option 140 also adds internal OCXO. Rodhe & Schwarz CMU200 10Mhz-2.7Ghz Zero-Full 10hz-1Mhz $800-$1200 Up to +47dbm (50W) on RF1 input. All instruments that were manufactured in Malaysia were originally built with 14-bit Digital IF assemblies. Instruments manufactured in the US that have Serial numbers US41513009 and later were also originally built with 14-bit Digital IF assemblies. Also, U.S. instruments that have serial numbers that start with US4136 and have the following suffixes were also originally built with 14-bit Digital IF assemblies: 2964, 2977, 2982, 2986, 2987, 2988, 2989, 2990, 2991, 2992, 2993, 2998, 3000, 3003, 3004, 3005, 3006, 3007. All other instruments with serial numbers US41362959 and prior were originally built with 12-bit digital IF assemblies. The date at which instruments started to be manufactured with the 14-bit Digital IF was approximately January 15, 2002. You can also determine which digital IF assembly you have by looking at the Show System menu which is accessible by pressing the following key sequence on your instrument: . The part numbers of the major assemblies in the instrument will be given shown under this menu. The part numbers of the two revisions of the 14 bit Digital IF assembly are E4440-60025 and E4440-60195. The 12-bit Digital IF assembly is part number E4406-60006. Option B7C IQ baseband option is highly desirable but rare. Controller is a standard PC architecture running MS-DOS. CPU upgrades and SSD conversions are possible. FMR5 motherboard uses AMD K6-2/300 CPU (Socket 7). 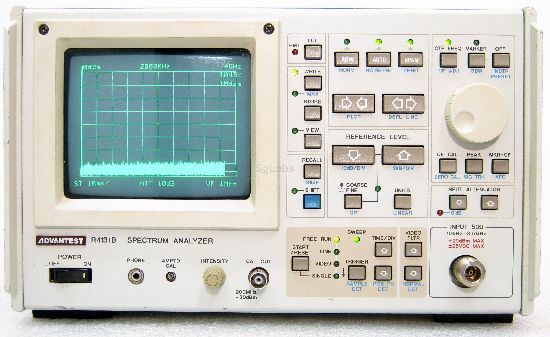 True spectrum analyzer. Vector display. Introduced in 1980! Huge and heavy - 140lbs. Shipping can easily run several hundred $ even in the US. Battery drain while "standby" or "off" can be significant. Agilent recommends removing batteries when not in use for extended periods. Rubber gasket MP29 (P/N E7495-40023) coming loose from screen bezel appears to be a common issue. Quite a sturdy beast, case is magnesium. Designed for field use at cellular transmitter towers. At 20lbs (9.1kg), it is "portable" in exactly the same way the Osborne 1 was "portable". There are few Advantest R3261, R3361, R4131 out there. These are quite simple, made of generic components and all schematics available. I repaired my R3361A, topic here. And the amber CRT is incredible, so perfectly fits with yellowed plastic and so good and comfortable to read. I'm missing the Advantest R3131 (320x240 monochrome display) and R3132 (640x480 color display) from the list. They are both not terribly expensive and not very heavy. Also an Advantest R3477 Signal Analyser may turn up on Ebay every now and then which is a PC based spectrum analyser with 1Hz RBW, 15.4GHz range and good performance at the price of being big and noisy. is the average ebay price for working R3131, R3132, and R3477 under $1000? i was unable to find any. i am sure they can be had for bargain price compared to original MSRP but once you go north of $1200 you might as well start looking at a brand new siglent ssa3021x. HP 8560A 50hz-2.9ghz can be had very often in the $400 dollar range without the tracking generator. HP 8650A 50hz-2.9ghz can be had very often in the $400 dollar range without the tracking generator. i dont see any ebay auctions for hp 8650a. can you find any? if any are sold anymore, it looks extremely rare. Are you including portable versions in your list? The Anritsu Sitemaster 331 variants (and occasionally 332) could be worth listing as they come up around this pricepoint. Maybe also the BK Precision 2650 series could also show up (though not the newer A variants). The R&S FSH3 series handheld units occasionally go for under $1000 US, but it's not super common. I don't think the R&S FSEA/FSIQ series benchtop analyzers typically sell under $1000, but you can find some under that needing repair or occasionally a working base model for not too much more. yes, see the agilent e7945a/b. the sitemaster 331 prices seem to be all over the place. $700 - $3000. what's up with that? there seem to be like 41,000 variants of the 331. Yeah, I would focus on the 331D variant, it seems to be around that $1000 pricepoint pretty commonly and is usually sold with a color screen (which is actually an option on most 331 models... oddly). The pricing variation is probably partly due to the number of variants and options for them, but just the confusion around all of the versions - I think it's been in production in one model or another for quite some time. Maybe the Anritsu MS2711 is worth adding too, seems to be sold around the same price. AFAIK you should be able to get an R3131 for much less than $1000 all day long. R3132 will take some haggling and the R3477 is probably closer to $2000. All these SAs work to at least 3GHz where with the Siglent SSA3021X you have to see if they remain hackable or not (and the firmware doesn't seem to be finished yet anyway). 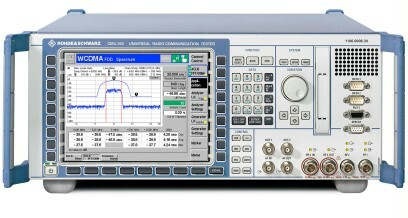 Still the Siglent SSA3021X is mighty tempting when spending around $1500 on a spectrum analyser. AFAIK the last firmware update fixed the wonky results some people got from using the tracking generator but that also made the sweeps a lot slower (see: http://www.eevblog.com/forum/testgear/siglent-ssa3000x-spectrum-analyzers/msg1071366/#msg1071366 ). This is at least one issue that needs attention. looks like the S331D is an antenna analzyer only - only SWR, cable loss, TDR, etc. there is no spectrum analyzer feature in the documentation and there does not appear to be an SA option for the S331D.